The projects in the genomics and metagenomics group aim to understand the contribution of host genetics and gut microbial composition on human chronic inflammatory diseases. Originating from mainly genetic research, our group now has a major focus on application of modern high-throughput technologies to understand the metagenome and its functions. Our main diseases of interest are primary sclerosing cholangitis (PSC), in addition to other conditions related to chronic inflammation like immunodeficiencies and cardiovascular disease. Since many of the patients with PSC have concurrent inflammatory diseases (mainly inflammatory bowel diseases, but also prototypic autoimmune diseases), these diseases are studied in parallel. The gut microbiota is an important human organ comprising ten times more cells than the body itself, and probably plays a major role in human disease. Ongoing studies aim to characterize how the gut microbial community composition in patients with PSC and other inflammatory diseases interacts with immune regulation, bile acid metabolism and drugs. An important part of the activities is the standardization of methods related to key challenges in the field; study designs, sample collection and preparation, sequencing technology and bioinformatics. We apply both cross-sectional, longitudinal and interventional study designs. Increasingly, our studies have a clear ambition of clinical translation;ie our aim is to develop clinical microbiota medicine across multiple specialties. 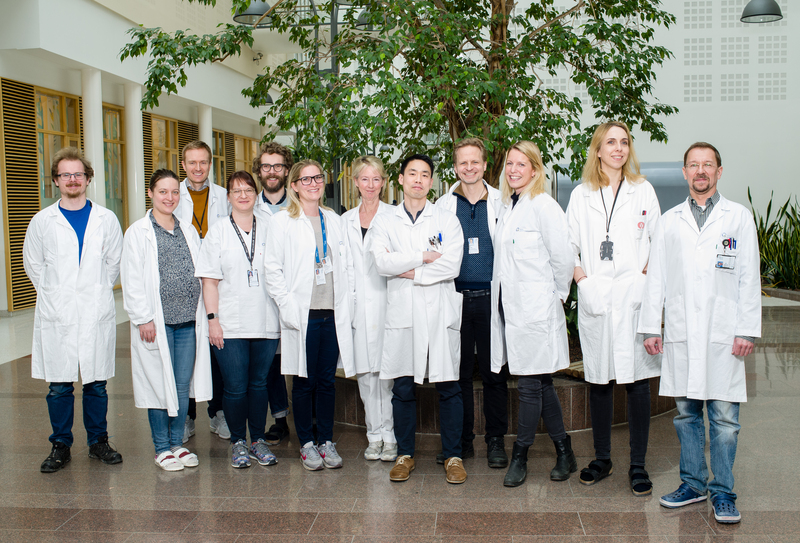 The experimental projects are funded by the Norwegian PSC Research Center, the Norwegian Research Council, the Regional Health Authorities in South Eastern Norway and the Jebsen Inflammatory Research Center (JIRC) . In addition we have received funding from PSC Partners Seeking a Cure . Important collaborators include Andre Franke and John Baines (Christian-Albrecht University, Kiel), Rolf Berge (University of Bergen), Hanns-Ulrich Marschall (University of Gothenburg) and the inflammation groups at the Research Institute of Internal Medicine at Oslo University Hospital. ).